Building maintenance tends to be out of sight and out of mind. As a result, it has something of a reputation for being under-funded, unproductive and poorly managed. However, as recent cases involving legionnaires’ disease outbreaks have shown, this attitude is at best dangerous and can prove fatal. That is why it makes sense to review your air conditioning maintenance policy to prevent future failures and preserve the integrity of the system. Taking a devil-may-care attitude to a HVAC system will certainly leave it energy inefficient and wasteful and, consequently, the cost to the building occupier of producing quality air will be far higher than it needs to be. So, take it or leave it, but if you leave it then be prepared to face the consequences. Excuses for failing to implement effective maintenance abound – it’s too expensive, disruptive, complex, time-consuming, troublesome, difficult, and so on. In fact, the case for proper maintenance are patently obvious; after all, its cost is absurdly low compared to the cost of dealing with, say, a catastrophic air handling unit failure. The trouble is, of course, that the older the machinery, the less reliable it becomes. And there is plenty of HVAC equipment still in operation that should be drawing a pension on the UK’s commercial building roofs. Indeed, sustaining ageing plant is by far the most serious issue facing most maintenance operations. Another problem is how the performance of service engineers is assessed. Maintenance staff are too often measured simply on speed of response to breakdowns. But companies that adopt this approach are missing the point. Using an all-singing, all-dancing building management system (BMS), for example, might enable you to respond extremely quickly to breakdowns, but that does nothing to prevent machines from malfunctioning in the first place. Meanwhile, too often, BMSs are neglected in operation and they drift away from optimum performance, leading to inefficiencies and possible energy wastage. There is a clear distinction between mending something (only for it to break down again soon after) and fixing it (so that the likelihood of breakdown becomes vanishingly small). There are, of course, huge cost implications to this, but the true cost of maintenance is seven-eighths hidden. Direct costs (maintenance engineers, the spares they consume, and so on) are easy to measure, but have a low impact on profit. It’s the losses below the surface that can really hit profitability. These include changeovers and breakdowns (which relate to availability), minor stoppages and running at reduced speed (to do with performance rate), and rework and start-up losses (associated with quality). These submerged losses are where the focus needs to be. 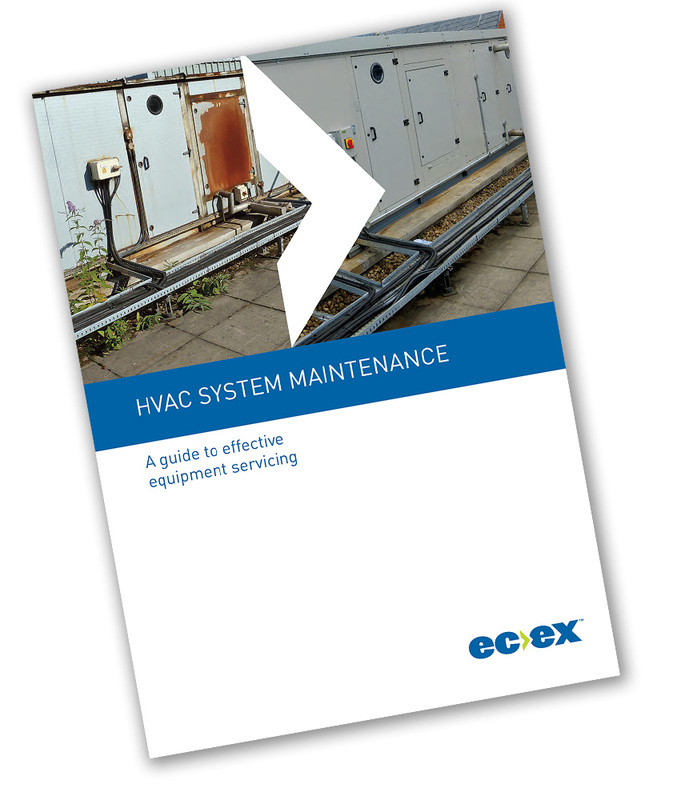 ECEX has published a comprehensive maintenance guide to help you begin the process. After all, regular checks and updates are important to ensure that the system is managing and controlling the installation in the most effective way. The question is, who would do that? It could be that the facilities manager would be happy to subcontract it to a service and maintenance company such as ECEX. Using skilled engineers, ECEX undertakes a complete range of maintenance for mechanical services. From replacing pipework and valves to upgrading or downsizing water storage tanks, we can offer a turnkey solution to suit your needs. For more information on our mechanical engineering services, click here.